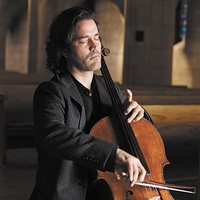 El Paso Pro-Musica presents an exciting family concert with four fabulous cellos including Grammy Award winning Artistic Director Zuill Bailey, Dr. Melissa Kraut of the Cleveland Institute of Music and young dynamic cellists Cecily Parnas and Jared Blajian. Incredible music by Bach, Ravel and more. For more information (915) 747-8163.